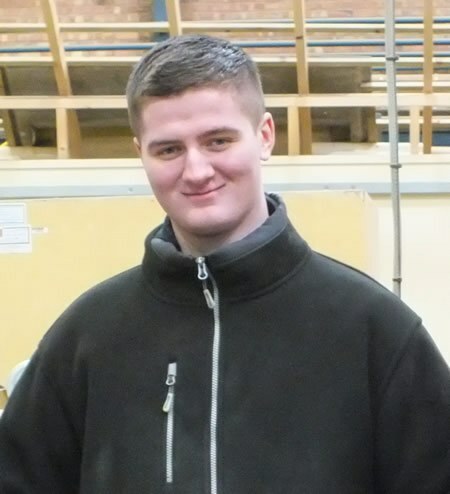 Tom joined Lucideon as an apprentice in the physical testing department in October of last year. Prior to this he spent a year working full-time in a warehouse after working there part-time throughout his A-Levels. He applied to Lucideon's apprenticeship scheme after seeing an online opportunity to become an apprentice. "The apprenticeship caught my eye as it gave me an opportunity to utilise and develop the skills and knowledge I gained throughout my time at school and college. "Since starting at Lucideon I have been working in brick testing, learning the tests and processes that are performed under the guidance of the two technicians already working in the area. "As part of my apprenticeship , I go to Macclesfield College once a week to complete my HNC in General Engineering. This is an opportunity to gain knowledge in certain areas that I would not have been able to take without the company providing it for me." Outside of work Tom is an avid MMA fan, taking every opportunity he can to watch events put on by both local and international promotions either in-person or watching televised events. He also enjoys playing snooker and pool in his spare time. Lucideon currently has ten apprentices, and hopes to employ more in the near future.